Anaheim is a popular tourist city in the Orange County area of California (CA) and is named after the Santa Ana river. 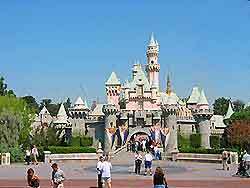 Close to Los Angeles, Anaheim is most famous for its Orange Groves and vast Disneyland theme park complex. After opening in 1955, the Disneyland Resort transformed the city's tourism industry and has become the premier tourist attraction in the Anaheim area. 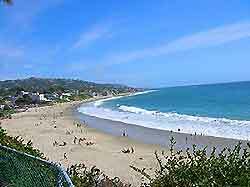 There are however still many other notable sightseeing opportunities in and around Anaheim, including the Orange County Coast, the Richard Nixon Library and the nearby San Gebriel and San Fernando Valleys. With so many tourists visiting the city each year, hotels in Anaheim are plentiful and located throughout the city, with a good selection of hotels close to Disneyland. Other hotels can be found along the South Anaheim Boulevard, South Beach Boulevard, South Clementine Street, West Convention Way and West Orangewood Avenue. More information about Anaheim Hotels. With so much to see and do in the Anaheim area, the city's tourist information offices provide up-to-date tourism details and information about attractions, guided tours, public transportation, hotels, entertainment, restaurants and shopping malls. The principal tourist office is the Anaheim / Orange County California Convention and Visitors Bureau which is located on West Katella Avenue. This tourist center is overflowing with local leaflets about the city and surrounding areas, including detailed information about specific tourist attractions located in the Anaheim Hills, the Antique Historical district, Buena Park, downtown Disney, Fullerton, Santa Ana and Yorba Linda. Anaheim has numerous popular tourist attractions, including Disneyland - regarded as the most loved theme park in the whole world, full of exciting rides, festivals, parades, shops, restaurants and resort hotels; the Disneyland California Adventure - Disneyland's next door neighbor, divided into three themed areas - the Golden State, Paradise Pier and the Hollywood Pictures Backlot; Anaheim's Adventure City - a mini adventureland for children and families with a small farmyard area; Knott's Berry Farm Theme Park - containing a number of extremely fast and thrilling rollercoaster rides; and the Knott's Soak City USA Water Park - a seasonal park housing water rides and a huge wave pool. Other main tourist attractions include Anaheim House - one of the oldest buildings in the city, dating from the late 19th century; the Richard Nixon Library and Birthplace - celebrating Nixon's tenure as president, including guided tours; the Mother Colony House - dating from 1857, one of Anaheim's oldest post rancho-era houses containing numerous artifacts and historical information; Irvine Regional Park - California's oldest county park featuring nature trails and mature planting, standing in East Orange County; and the Peters Canyon Regional Park - with major hiking trails and an enormous lake, set in the hills nearby Orange County. 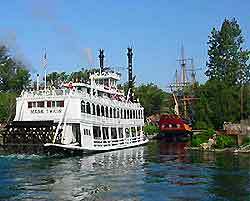 More information about Anaheim Tourist Attractions and Anaheim Landmarks. Some of the best museums and art galleries in the city include the Anaheim Museum - full of historic information about this part of California, in the North and South galleries; Movieland Wax Museum - featuring literally hundreds of movie stars and celebrities immortalized forever in wax; the CSUF Grand Central Art Center - a vast art gallery situated in downtown Santa Ana, close to central Anaheim; the Orange County Center for Contemporary Art (OCCCA) - full of modern works of art, often by local Californian artists; and the Orange County Museum of Art - housing a collection of expressionist paintings and contemporary art. More information about Anaheim Museums and Anaheim Art Galleries. Tourist attractions located nearby include Catalina Island - a short trip from Anaheim, with lush kelp forests, peaceful wilderness country, and secluded coves; Los Angeles - a high energy city with many iconic tourist attractions, as Sunset Boulevard, Beverly Hills, Hollywood and Malibu Beach; San Diego - a laid-back city within easy reach of Anaheim, famous for its beaches and Mexican atmosphere; the Orange County Beaches - boasting more than 40 miles / 64 km of spectacular beaches, with surfing, swimming and bathing; and Wild Rivers Waterpark - located to the southeast, with around 40 water rides and giant wave pools. More information about Anaheim Attractions Nearby.